Watch the biggest night in film with good company, good food, and for a good cause! The Upper West is hosting an Oscars Watch Party for the second year in a row. This special event supports an important non-profit organization…the Leukemia & Lymphoma Society. The Upper West is giving back generously at this event. The restaurant will donate 25 percent of all sales on Oscar night to the Leukemia & Lymphoma Society, which is dedicated to advancing research, treatment, awareness, support and cures for blood cancers. 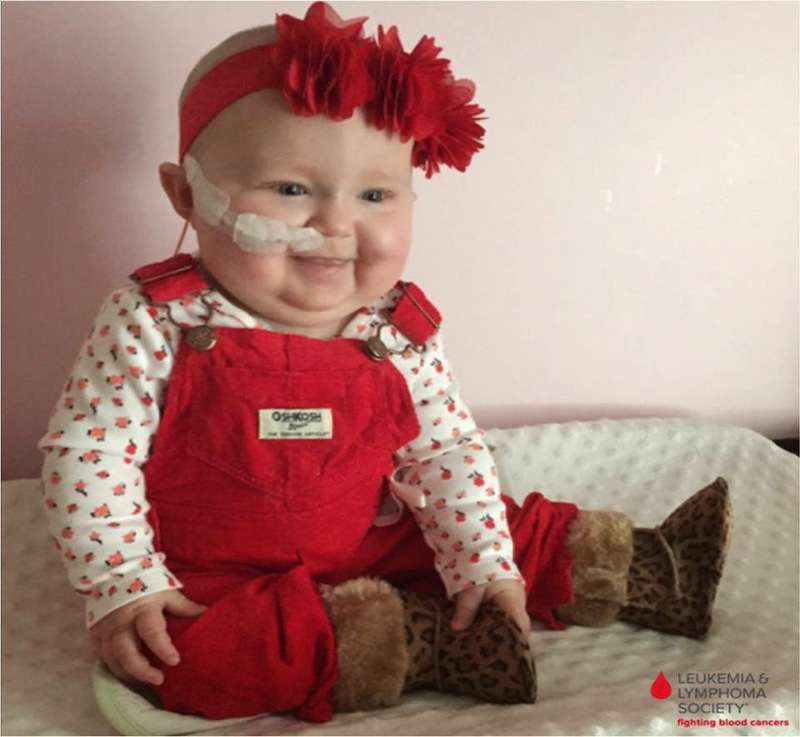 This past November, due to the help of to the Leukemia & Lymphoma Society, Eevie was able to enjoy her 1st birthday. She is completing her final round of high-dose chemo and has entered the “maintenance” phase. She will continue to receive lower doses of chemotherapy until she reaches her 2nd birthday. A recent flow cytometry confirmed she is still in remission! 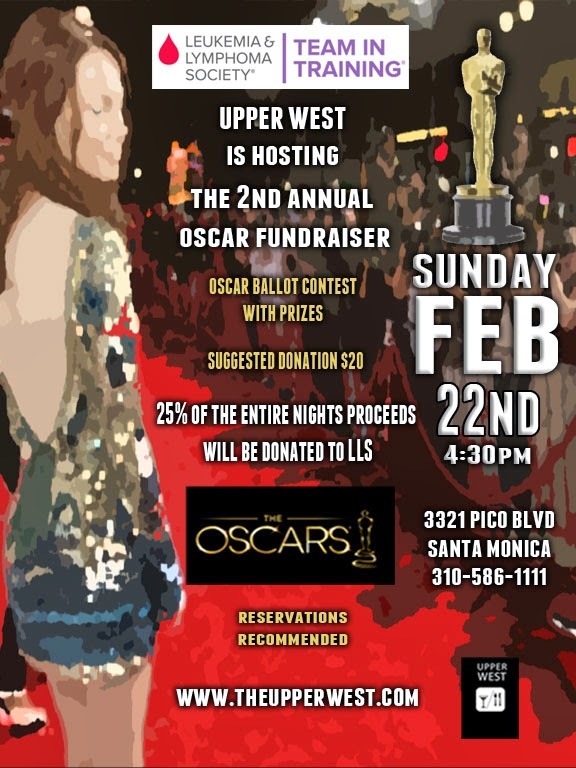 Come to enjoy the OSCARS in style…arrive early, when the red carpet coverage begins to fill out your Oscar winners predictions, then stay to watch the show with delicious food and drinks. There will be prizes for the most accurate Oscars predictions, and other prizes for opportunity drawings. For more information about to the Leukemia & Lymphoma Society, see www.lls.org. February 17th, Celebrate the art of Contemporary Painter, Sona Mirzaei in Conjunction with the 8th anniversary of Equinox Century City! Tuesday, February 17th is a big day for Equinox Century City. It marks the 8th anniversary of the flagship location. Also taking place is the opening reception for a solo exhibition featuring contemporary artist Sona Mirzaei. General manager of the Century City location, Michael Melnick said this will be the first time that Equinox Century City will be hosting an art event but explained the company has done it is few times. The most recent exhibit was a photograph exhibit at the West LA location. 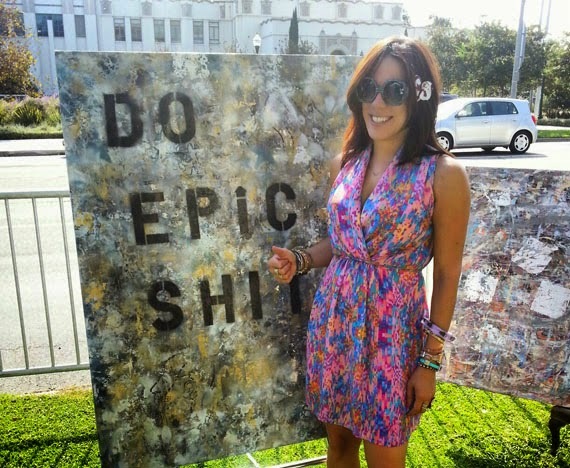 Melnick has worked for Equinox Fitness for the past ten years and run the Century City for the last two. Prior to that he spent fifteen years as a recording engineer. To celebrate the special anniversary, Equinox Century City will feature special classes, complimentary refreshments and more. Take $200 off when you join and Equinox will donate the rest of your initiation to Cycle for Survival in support of rare cancer research. Sona Mirzaei has been busy nonstop since the start of 2015. Her art was featured in the LA Art Show in January and she also had a solo exhibition entitled “Abstract Expressions P.II” at the Rebecca Molayem Gallery. The artist created and donated a special work for the Pico Youth & Family Center event a couple weeks ago, which raised money for the Santa Monica nonprofit. She is now gearing up for a private exhibition in Palm Springs. For her solo exhibition at Equinox Century City, Mirzaei will be showing many works from her In Search of Splendor collection. 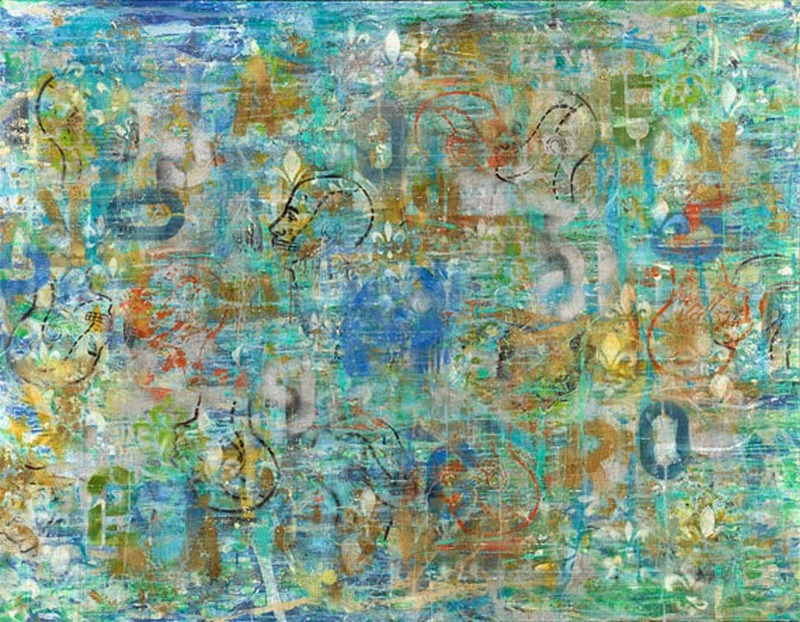 See image: Sona Mirzaei Mind Blown - 2014 - 68x48 - acrylic, spray paint, precious metal leafing, coffee grains, mixed media on canvas. Mirzaei’s statement: Mind Blown reveals human nature in a dreamlike state while also getting a glimpse of chaos of humanity in this tranquil setting that takes one beyond and has an emotional effect as if you might have already experienced this it before. It also explores multiculturalism, science, and symbolism.